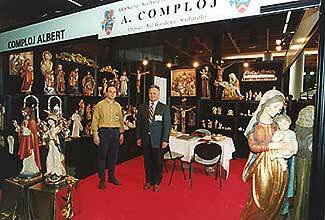 Olga and Albert Comploj have been running the woodcarving business for thirty years. 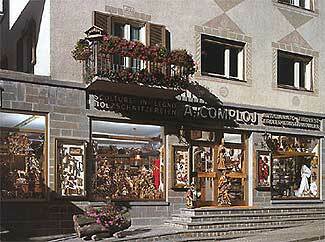 Our shop is located in the heart of Ortisei in Val Gardena. A large selection of fascinating cribs are also on offer. At the same time we are fully equipped to create custom-made items according to your wishes, as well as to restore works of art. We are prepared to realize your individual wishes in unique sculptures and to offer restoration of works of art.